It is a fact that being overweight is one of the most common problems Americans have. Actually, around 160 million people in the US are either obese or overweight. Since it is not healthy at all, people often try to modify the way they eat to change their lives; however, eating healthy is not all you have to do to get fit. Exercising is a big part of the equation, so you should consider hiking for weight loss. As you may already know, both terms can be described as having too much body fat, but at what point you go from being overweight to being obese? Fortunately, experts have created a formula to determine your body mass index, which describes whether or not you have the proper weight according to your height. It is a simple calculation that everyone can do at home because all you need to know is your height and weight. Also, you can determine it by using the imperial or the metric system. Just follow these formulas. Stage I: BMI from 30 to 34.9. Stage II: BMI from 35 to 39.9. Stage III: BMI of 40 or higher. Usually, fat people do not think they have a problem until they reach obesity. Even when gettingcloser to that point, some of them cannot find enough reasons to actually make a change in their lives. This is why we show you some reasons to start losing weight. Let’s start with the most common reason of all: your heart. It is well known that people with overweight have a higher risk of suffering from any kind of heart disease. It is because they are likely to have high blood pressure, high levels of triglycerides and blood sugar and low levels of good cholesterol, which can produce metabolic syndrome, coronary heart disease, diabetes and, even worse, a heart attack. Have you heard of sleep apnea? It is a disorder in which your upper airway collapses while you are asleep. Basically, you stop breathing for a few seconds. These pauses could happen thirty times or more per hour, reducing the quality of your sleep. The worst of it is that the person who suffers from sleep apnea cannot notice it because it only happens when sleeping. Also, there is no blood or physical test that diagnoses it. As a result, you will feel more tired during the day, it will raise the possibility of heart failure, arrhythmia and heart attacks. Obese people also have a high risk of suffering from chronic kidney failure since this illness shares its symptoms with a disease we previously mentioned: metabolic syndrome. People with chronic kidney failure suffer from a gradual and permanent loss of renal functions because the excess of fat in the central area of the body increases kidney metabolic demand, which damages that organ in the long term. When your levels of body fat are elevated, you could get osteoarthritis, which is a degenerative joint disease that causes loss of cartilage and, since it hurts, you avoid moving too much. There are two main osteoarthritis reasons associated with obesity. The first one is that your knees and elbows are constantly supporting a lot more weight than they can, and the second one is that being obese propitiates joints’ inflammation. Both reasons would make your cartilages degrade day to day. People with overweight are a lot more likely to suffer from dementia due to hormonal and inflammatory reasons produced by accumulated fat in the central area of the body. Dementia is a general term that refers to a wide range of mental disabilities bad enough to interfere with a normal life. The most common symptoms of dementia are: memory loss, decreased ability to communicate, to focus and to make judgment. If you are one of those people who have spent a lot of time on the internet looking for methods to lose weight, you probably know that there are too many. Some of them work, some others don’t. The truth is, however, that there are two main ways to lose weight, and we are pretty sure that almost everybody has heard about them. Include meat, fish, eggs and beans to give protein to your body. Include avocado, nuts and oils to give fat to your body. Include legumes, whole grains, fruits and vegetables to give carbs, vitamins and minerals to your body. Reduce excess of salt and sodium. To successfully follow all these advice, the best thing you could do is to select products that match up with your needs, to cook at home and eat a reasonable amount of food. For some people, going back to a healthy weight is more difficult than for others, and only eating balanced food it’s not enough. If you are one of them, we recommend you to follow some exercise routines, as well, to burn calories and build up your muscles. You can start by changing some of the daily activities you do, like taking the stairs instead of the elevator, walking or cycling to and from work,and cleaning more constantly your house. All those physical activities might be slightly helpful for you. Jogging: It is a really easy physical activity that can be done anywhere you want with nothing more than a pair of tennis. 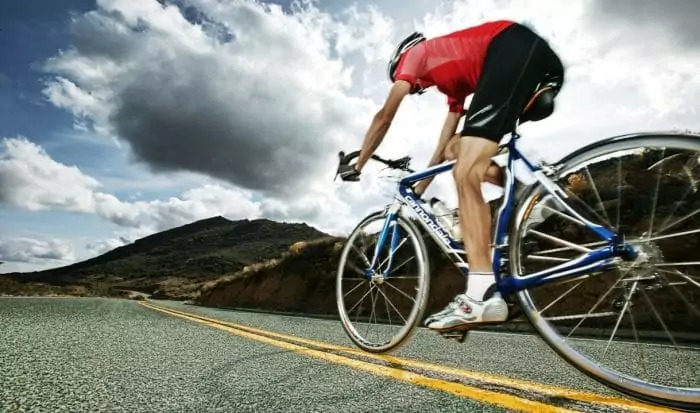 Cycling: Another good option for cardio and lower body workout in which you only need a bike. Dancing: A fun workout that also focuses on cardio. It is really popular since it can be done at home with some music on. Those are all good options to drop some pounds, but what if we tell you that there is a better way to lose weight? What if we tell you that it is a cheap, fun and social way to do it? Well, we believe that the best activity you could possibly do to lose weight is hiking. Basically, when you hike, you burn calories and consistently work out your lower body, and do cardio without actually noticing that you are doing it. When you hike, you burn calories and consistently work out your lower body. So basically, you are doing cardio without actually noticing. Being aware of the sights, the weather and all those beautiful things nature has to offer, would make your experience even more enjoyable. You would be focused on other things rather than on feeling tired, etc. However, if you are not convinced yet, here we show you a few reasons to start hiking. There are a lot more calories burned when backpacking than when walking or jogging. When you hike, you use your lower body to walk, your core to keep balance while moving, and your upper body to carry your equipment. Also, you increase your heartbeats and breathing rates, which is basically what has to be done to work out your cardio condition. All these reasons put your body in constant effort, increasing the number of calories you burn, making you lose weight, building up your muscles and strengthening your form. Once you start hiking, you might struggle to reach the top of a small hill. After a few more tries over time, when you have enhanced your resistance and cardio capacity, you will be able to get to the peak without trouble. Basically, your progress can be measured with the hill you are hiking. In order to do that, you can consider how much time it took you to reach the top the first time, and how much extra weight you carried. Fortunately, human beings feel more motivated when they start noticing their improvements. The only problem will be finding a bigger hill to hike next time. As we all know, there are some people out there that enjoy being alone. When you go hiking by your own, you find yourself immerse in a peaceful environment, far away from the stress that represents your daily basis. You get to enjoy the sights, sounds and/or silences of nature. On the other hand, if you are the kind of person who prefers being surrounded by people onthis kind of activity, there are a lot of hiking groups you can take part in. By doing this, you will get to know a lot of people and learn useful things from the more experienced members while working out. To hike, it is not necessary to fly to the Alps in Switzerland or to the Te Araroa Trail in New Zealand. You just have to find a hill near home and start hiking. Also, all you will need to buy – in case you don’t have it – is a pair of hiking boots, proper hiking clothes and a comfortable backpack. Additionally, we have to mention the amazing scenery you will witness when backpacking: From a sunset in the woods, to the stars shining in the sky. Everything you see on the surroundings always makes it an addictive experience. Why Hiking is the Better Activity? As we said before, we believe that hiking is the best physical activity for losing weight and shaping your body. In fact, we are so convinced of that statement that we even made a comparative list in which we explain our reasons. Running Some people may feel pain on their leg joints – especially their knees – when running and, if you are overweight, that is something you want to avoid. Walking Hiking burns more calories than walking because you have to do a lot more effort. Also, it shapes your muscles in a way that would not be possible if you just walked. Dancing classes Even though dancing is a fun and effective way to enhance your cardio condition, it does not last as much as a hiking session. Also, you will not get to see the beauty of nature while being in a studio or at home. Gym Hiking is way cheaper than joining a gym because you do not have to pay monthly fees. Also, some people believe that gyms are quite boring because you tend to repeat the exercises over and over again. Swimming Hiking is less toxic because you never know how many chemicals – or pee – swimming pools may have. Now, it is time to talk about the amount of calories you will burn while hiking. There is not a precise formula to calculate it because there are a lot of factors that may reduce or increase your caloric expenditure. However, we will mention some aspects that alter it the most. How much you weight – The heavier you are, the more calories you burn. If you are 155 pounds, you would probably burn 400 calories hiking for one hour, but if you are 200 pounds and hike for the same amount of time, you might burn 550 calories. How fast you hike – The more intense you hike, the more calories you burn. In fact, when you exercise your body at a high intensity, you speed up your metabolism, which makes it burn calories even after you have completed your work out. How heavy your backpack is – Carrying a backpack will make your hikes more difficult and, consequently, you burn more calories. Depending on its weight, you can add from 100 to 200 burned calories per hour. You might also want to check out our tips on how to pack a backpack to ensure a seamless trek. How difficult the terrain is – The terrain is another important element that determines your caloric expenditure. Since it varies from hill to hill, you can accurately measure how many calories you get to burn. However, walking on a flat surface will not be as challenging for your body as hiking on an inclined hill. With the previous information, we could say that in a three-hour hike at an average speed with a light backpack and in a flat surface, you would burn around 1.450 calories. Now that you know that hiking improves your cardio condition, toughens your muscles and makes you lose weight, you might want to know a few tips and advice that will make that experience more enjoyable. Choose the right equipment – Resistant hiking boots and clothing, a light and comfortable pack, enough water and food, a map and your phone would be the articles you should always take with you. Study all the options before selecting a trail – Once you get used to hiking, you might want to go for longer expeditions. However, you have to be patient and always try to go for difficult but not impossible trips for you. Food is the key – When backpacking, have in mind that food and water represent the energy that your body needs to keep moving. Avoid being thirsty or hungry for too long because your performance could drop and everything would turn into an unpleasant experience. It is all about the journey, not the destination – As we have remarked through the entire article, hiking itself is a wonderful experience. However, if you want to make it even better, you could try to stop now and then, enjoy the fresh air, the sounds of nature and the vistas of your surroundings. Thanks to the previous information, you know that having a healthy weight will help you prevent heart and kidney problems, have better sleep nights and decelerate mental illnesses. These reasons indicate that you need to have a balanced diet and to exercise your body. As we mentioned before, hiking is the best activity you could possibly do because it is cheap, it helps you burn a lot of calories, and challenges your cardio and muscular conditions. To find out the many benefits of hiking, check out our earlier piece to find out. Have you lost weight by hiking before? Is there any advice you could share with us? Let us know in the comments section!